We were enamoured by the cute sheep figurine parked at the entrance of the shop and drawn by the prospect of having pancakes for brunch on a late Sunday morning. 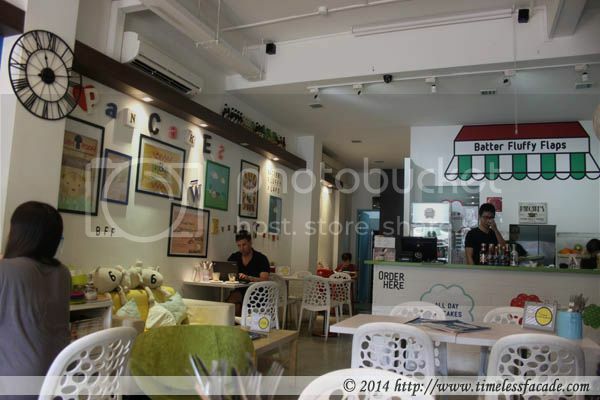 Located along the narrow and sometimes congested East Coast Road, just diagonally opposite I12 Katong, Batter Fluffy Flaps or BFF for short, boasts a cute, sheep centric interior and menu. 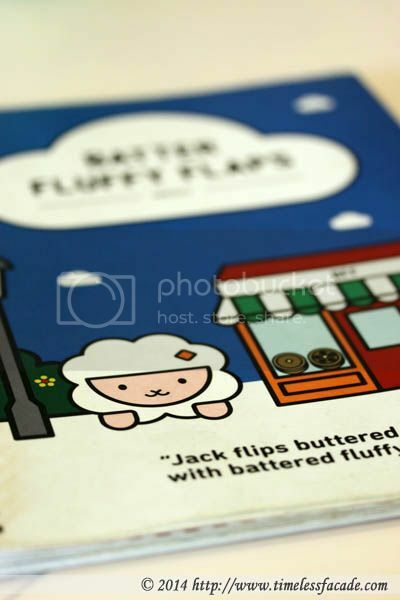 Great if you are into cutesy stuff. 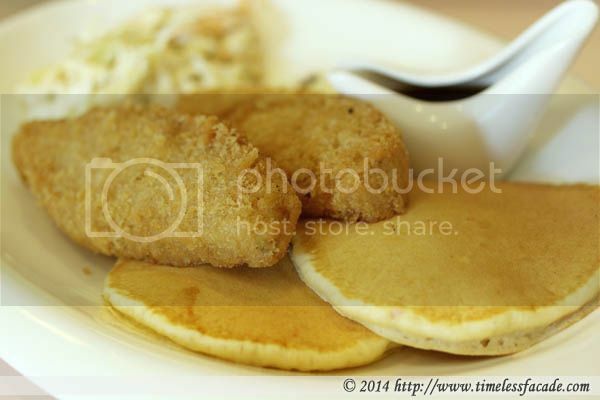 The both of us had the BFF special, which included 2 drinks, 2 pancakes dishes (savoury or sweet) and 1 side to share. 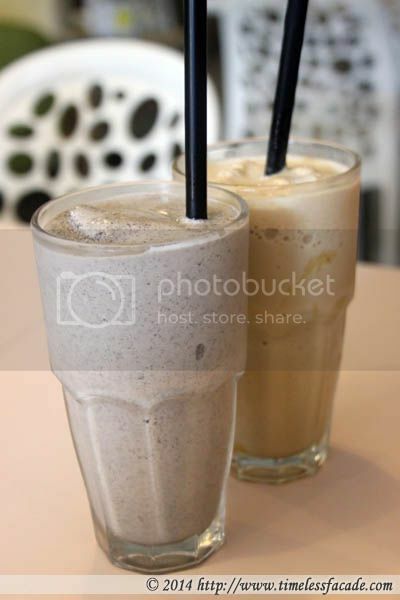 For drinks we ordered the Cookies & Cream ice blended and the Pure Caramel Coffee Blended; Both decent but a tad watered down. And I guess you can't really go wrong with drinks? 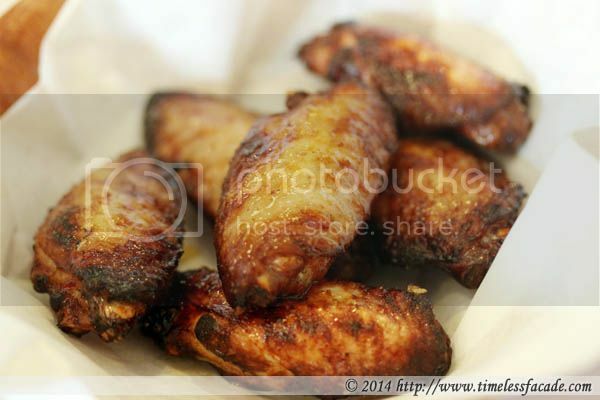 I'm sorry to say this but the wings suffered 50% burns on the outside but remained relatively unscathed on the inside. Read. Relatively raw with blood still seeping through. Very badly executed and we gave up after the 2nd wing. This was essentially deep fried fish fillet served with tartar sauce, coleslaw and 2 flapjacks. The fish fillets had way too much flour and very little fish but was still palatable though you would probably need a lot of tartar sauce to down that much flour. Coleslaw was a tad too creamy, rich and sourish for my liking. On a slightly more positive note, the pancakes were quite fluffy (though smallish) and well cooked, but the accompanying "maple syrup" tasted like the hotcake syrup that MacDonalds uses. That's definitely not maple syrup for sure. 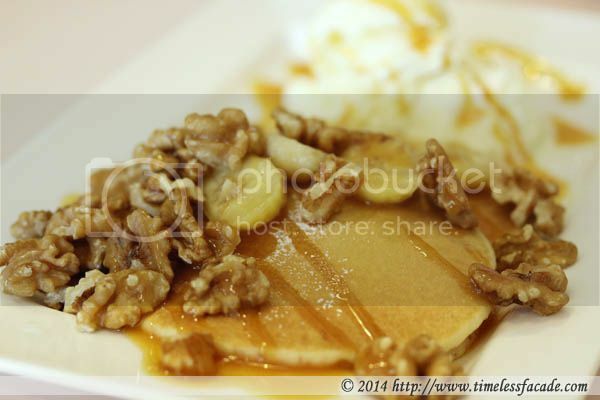 2 pieces of pancakes topped with sliced bananas, vanilla ice cream, caramel sauce and walnuts. Average tasting though the pancakes were quite fluffy. The bananas could have been grilled to achieve a certain degree of caramelisation whilst the ice cream was evidently from the tub as I could find ice chips in it. The sole saving grace was the relatively generous serving of walnuts. 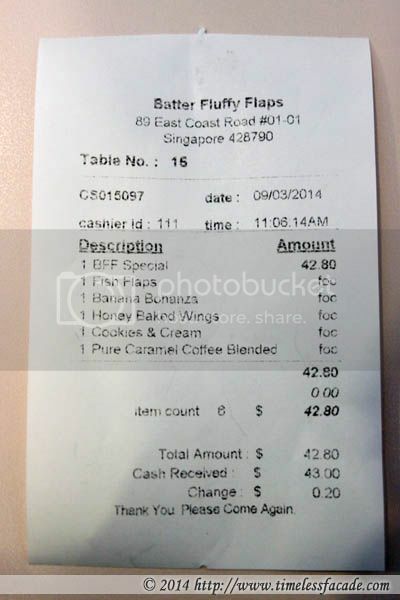 The BFF special cost the both of us $42.80, which was honestly a rip off for the quality of food. Please heed my advise on this place; Look past the cute facade and name and give this place a miss.